A total of 40 police officers graduated from the Gang Resistance Education and Training Instructors’ Course (GREAT) on Wednesday, August 24th. The ceremony was held at the Radisson Fort George Hotel in Belize City. The new GREAT instructors will now continue to apply the course’s goal, which combat gang related crime and violence, and prevents vulnerable youth from falling victim to gangs. 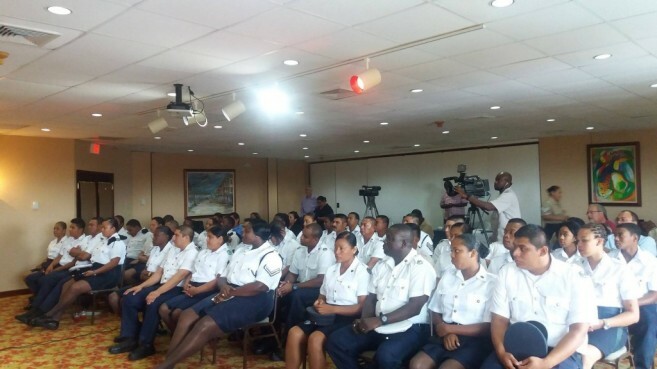 The program was taught by five trainers from the GREAT National Program in the United States along with three trainers from the Belize Police Department. It is important component of the U.S Embassy’s collaboration with the Government and people of Belize to strengthen citizen security in Belize. This is the fourth graduation, and since it began in 2011, a total of 135 police officers have been trained as GREAT instructors. However, what has been more important is that during this time, over 11,200 children have completed the program from 52 schools countrywide. The program, which is funded by the Bureau of International Narcotics and Law Enforcement Affairs (INL) through the Central American Regional Security Initiative (CARSI), and has provided more than $35 million in funding for law enforcement and justice related programs since they began in 2008. GREAT is a school-based program that includes classroom instruction and various learning activities. There are several advantages by using sworn/certified Belizean police instructors. These include their wide range of experience in criminal behaviour, as well as the ability to recognize gang members. It has also been confirmed that these local instructors can be positive role models to youth, as they are well equipped with referral knowledge about the day to day living of children in their communities. The officers who took the course believe that little by little, the Belizean youth will overcome their vulnerability to gang related activities. Now that they have the skills to address this issue, they expect to better assist the youngsters as they aim to get more students involved in the program. This new cycle of trained GREAT instructors will add to the efforts of the government to prevent crime and improve justice. The program continues to support the campaign for safer streets and more resilient communities. 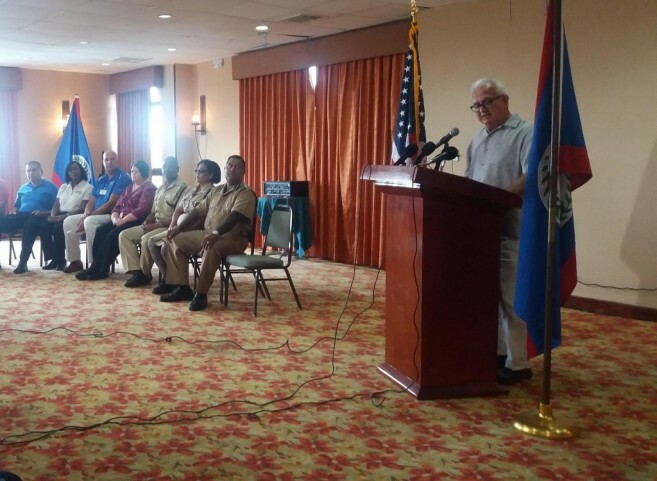 The INL-CARSI initiative will enhance capacity throughout Belize, with programs for police, forensics, prosecution, judiciary, prison, immigration, customs, and even civil programs like Neighbourhood Watches. Police Constable Juan Chuc and Woman Police Constable Verlina Rivas are currently the only certified GREAT instructors attached to the San Pedro Police Station.